We make young people great humans and we do it in the best sport in the world. A staff who cares – Our coaches and staff truly want the best for you and your child. We strive to build a great program that brings out the best in our athletes. A program dedicated to success – We want to win of course! But, more importantly, we want to achieve our goals. As a gym, so far we have been able to do just that. We want to focus more on goals than on placements at competitions, because we know the outcome of a subjectively scored sport is out of our hands. We appreciate our members – You are the reason we are here. We know that our customer relationships are important for our continued growth and we want to foster it. We are one of the fastest growing gyms around. 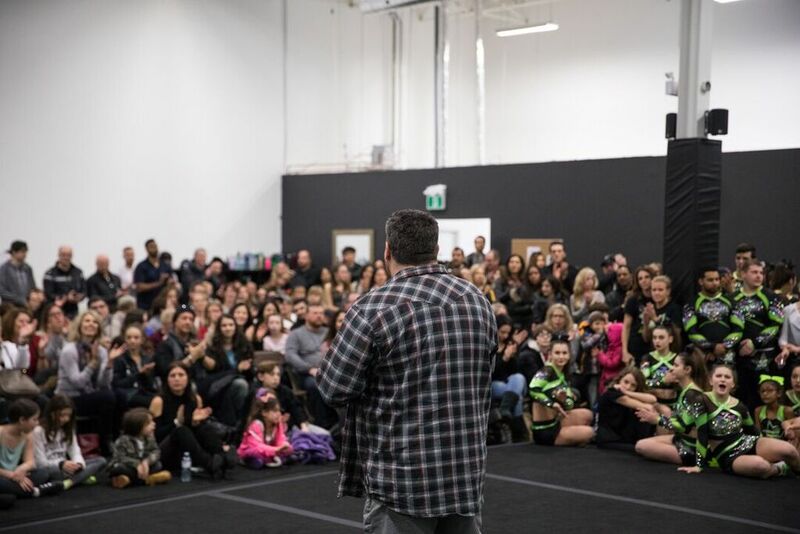 Since our beginning in 2012, we have grown to more than 12 teams, over 140 athletes, recreational cheer, competitive cheer, 5 members of Team Canada, and it continues daily. Why choose Allstar Cheerleading as a sport? This is one of the fastest growing sports in the world. There are now more than 60 countries represented at the Cheerleading Worlds. This is great for people of all ages, ability levels, body types and gender. It is a great way to stay active in a fun-filled environment. It builds trust, teamwork, coordination, social skills and more.